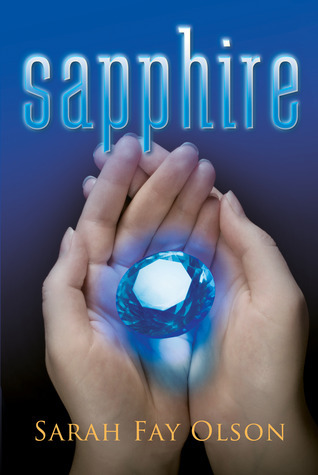 The second giveaway for an autographed copy of Sapphire is now live on Goodreads! Giveaway ends March 20th! Also, there are 8 days remaining to enter the first giveaway at A Thousand Words, A Million Books! Giveaway ends March 20, 2016. First of all, I hope you are all having a wonderful Valentine's day weekend! I know it has been awhile but I have been pretty bogged down with school and work. However, I am still writing and working on some new projects! Hopefully I will be able to share them with you soon. In honor of Valentine's day, here is one of my favorite excerpts from SAPPHIRE. It's a bit of a spoiler so don't read it if you haven't read the book yet! What is your favorite Layla/James excerpt? Comment below! When writing a novel, the setting is very important. So today I want to share with you what inspired my creation of the kingdom of Asteria. If you read SAPPHIRE already, you can compare what you imagined to the pictures I have added to this blog post. Since I was little, my parents have taken my siblings and I on numerous trips around the United States. Their favorite places to visit are usually national parks. Just being able to see the different terrains and beauty around the country helped me imagine what Asteria would look like. Let’s begin with the Maplewood Forest. The forest surrounding Layla’s home was originally called the Emerald Forest—and Asteria was the Emerald Forest Kingdom. Well…that sounded too Wizard of Oz-like so I went on to name the kingdom Asteria and the forest Maplewood. I had moved away from imagining it being made entirely of pine and introduced maple trees into the mix. This was purely out of the need to have a forest that changed colors in the fall--and let’s face it, maple trees are gorgeous. Maple trees changing colors in the fall. This forest was also the home of the Old Castle of Asteria. While I don’t have any pictures to share of what I imagined the cliffs the castle sat on to look like, their inspiration came from the state of Washington coast. Now, the Northern Mountains that bordered Asteria and became the home of King Darius’s castle was something I knew had to be grand. The greatest inspiration for these mountains came from my trips to Glacier National Park and Grand Teton National Park. The mountains in these areas of the US just jut out from the ground with no warning and that’s what I wanted. I needed the mountains to be beautiful and dangerous which is why it should have come as no surprise that the king’s soldiers didn’t bother following Layla up to Avalanche Pass in the novel. This was the river that acted as a border between Malan and Asteria. I imagined it to look something like this. When James and Layla begin training together, he takes her to a place he calls Midnight Cove. Other than the sapphire necklace, it is the only place in the book where there is anything supernatural. The river in the cave glows and eventually leads out into a small blue lake. This was inspired by a bioluminescent kayaking trip I took in Florida. Every time my paddle hit the water, a green glow followed it—water running down your hand looked like glitter. After that incredible trip, I decided to combine that with the turquoise colored lakes in Glacier National Park. Add some ancient oak trees and Midnight Cove became quite the romantic spot. Nature is one of my greatest inspirations for creating a fictional land. While I just touched on a few of the places I’ve seen, I can’t even tell you how many times I’ve watched the scenery in movies and just thought wow, I can use that for my next book! But in the end, just because I imagine something one way, every reader is going to have his or her own vision for what Asteria and Malan look like. If you pictured something different, let me know in the comments! If you’re a writer and want to share what inspires the settings in your stories, comment below! So Sapphire has been out for over a year now and I decided it was about time to get a legitimate website..so here it is! I've actually never really written on a blog before (other than on tumblr), so here it goes! I figured introducing myself would be a good place to start. As you probably already know, I am the author of Sapphire. I was inspired to write it out of my love for fairy tales and books with fantasy, adventure and romance. I began writing Sapphire in high school and finished it a year and half later. It has been about 5 years since I scribbled the first page down during Spanish class. I never imagined that it would one day be published. Writing a book is no easy feat but that feeling that I needed to get the story in my head on paper was a driving force. When I reached that final page and wrote "the end," I couldn't believe it! I had written a novel! But of course, the process did not end there...it was time for tons of editing and then onto the lovely task of querying agents--all of which I will write about later on. If you are wondering what Sapphire is about, it follows the story of a girl named Layla. It has a fairy tale feel with the elements of a coming-of-age novel. It is great for anyone who loves young adult books with romance, adventure and of course, flawed characters (who likes the perfect ones anyway??) If you are a fan of Kiera Cass's The Selection or Kristin Cashore's Fire, this may be the book for you! You can find more information on Sapphire here. A little more about me that has nothing to do with writing...I am originally from Miami, FL and I really miss it! Last year I graduated from Florida State University with a BS in psychology (GO NOLES!) and have moved on to University of Montana for a Master's in counseling. Florida to Montana was a huge change but I have now been able to enjoy the change in seasons and the breathtaking views of the surrounding mountains. It is crazy how just going on a hike inspires my writing. I love it! Well that's just a little bit about me! I hope you enjoy the new site. If you have any questions, comments or just want to discuss Sapphire, feel free to email me. I would be more than happy to hear from you!